The single most important event in human history occurred on Easter Sunday morning, when the tomb of an executed Jewish teacher was torn open revealing that He was no longer within. Before that moment, sin and death held sway over “The Human Race.” Before that moment, there were no Christians, or followers of the way. Before that moment, there were only disappointed, broken-hearted followers, and disciples (who were hiding away in fear of their lives) looking for a chance to get out of town lest they be next to die a gruesome death. It was a nice dream that Jesus taught, but obviously He couldn’t pull it off. He was dead and so were the hopes and dreams of thousands. Maybe God wasn’t as near as Jesus had taught. But in the aftermath of that early morning earthquake, life changed forever. The truth was revealed. Jesus is Risen. Jesus is who He said He was—the Son of God. God was, in fact, walking with us! He was nearer than we ever thought. Suddenly the cross is seen in a new light. It is no longer the cruel torturing device of power-hungry people determined to run roughshod over the rest of us. But not, we see the cross as an altar upon which has been laid the most important and efficacious sacrifice that has ever been offered by no less a personage than God Himself to not only forgive sin, but to destroy the power of sin in our lives. From this moment on, life must be seen in a new perspective. Its limits begin to fade away. A new understanding of our vital relationships must be formed. How can we adequately prepare ourselves for such an earthquake in our lives? How can we begin to let this startling news form and shape our lives? That is what Lent is all about! Lent is the 40 days, not counting Sundays, before Easter that have been set aside to prepare us to grasp the full impact of the most important thing that has ever happened on planet earth. The implications of this news are so shattering to our normal way of thinking that we need these 40 days to focus, to pray, to read the scripture, and reflect upon how this news impacts our lives, not just for now, but for eternity. A Word from God each of the 40 days, “A passion proclamation” which proclaims God’s heart for you. A Code Word for each of the 40 days that can serve as a focus for your thinking on that day that will bring the truth of Jesus alive in your heart. A devotional thought that helps integrate the truth of Jesus into our living. A prayer that can connect your soul with The Holy Spirit that wants to move and act in your life. 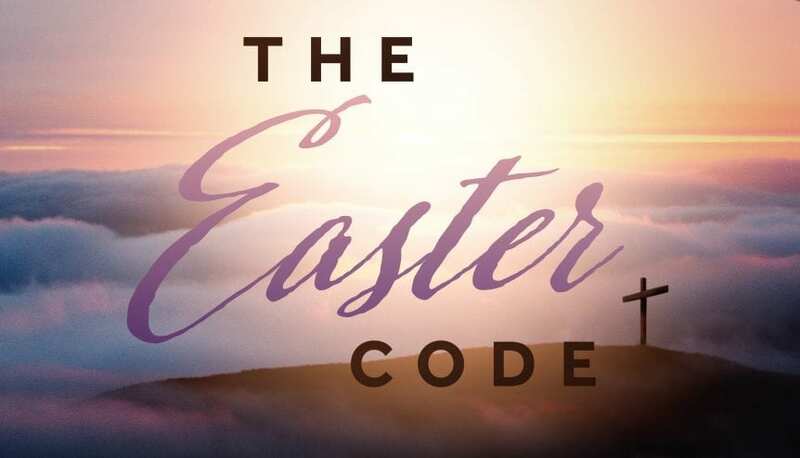 “THE EASTER CODE” is available in Fellowship Hall as long as supplies last. Lent begins March 6th with Ash Wednesday. You will want to pick up your copy before that date so that you can begin this 40-day journey with Jesus to the Resurrection that can change your life for eternity!